At this exact same time of the year during the 2017 basketball season, Ryan Kerr was on top of the world. 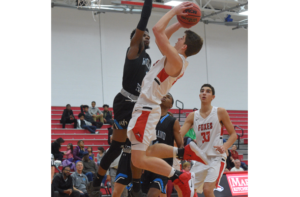 The 6’2” player was slated to be a junior captain, along with then senior Carson Cohen, and he had set high expectations for himself, as did his coaches. It wasn’t unusual for him to try and get in some extra preparation. So on a Saturday in early December, Ryan drove to the high school to do some shooting. The outcome of that practice time, however, was quite different than he expected. “I went in for a layup and landed on my friend,” Ryan recalls. The consequence was not only a hard knock to his ankle. It ended up being a twist of fate. The coach says it became pretty clear that Ryan’s dislocated ankle was going to end Ryan’s season, something that was tough for the player and his entire team as well. Admirably, Ryan never let his injury dampened his passion for the sport or his loyalty to the team. He attended most practices and games throughout the season and cheered on his buddies, but he was not physically able to begin his own arduous process getting back into game shape until June. “During the summer, a normal day for me would be to get up and lift in the morning, take practice shots, go to work, and do more practice shots after work,” says Ryan. He also travelled to some college recruiting camps to get up to speed again, played in summer leagues with the team, and attended the group’s annual summer camp. A year later, a new and improved Ryan made his basketball debut at a series of recent tip-off games at Plum Area High School. 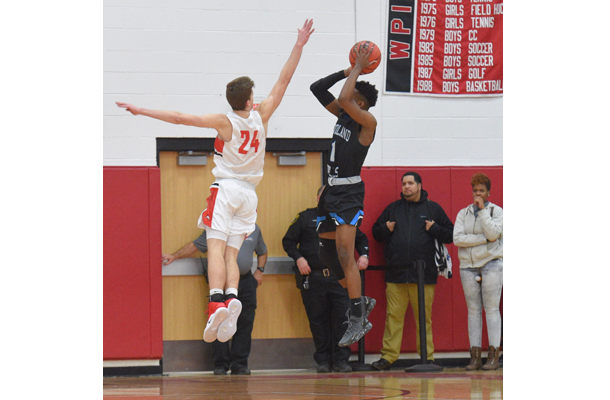 During the tip-off game versus Pine Richland, Ryan contributed 11 points toward the team’s win, but it was in the second game against WPIAL 6A foe and powerhouse Pine-Richland High School that Ryan performed like the star he was meant to be. His superb performance, during which he scored a career high of 26 points, was a personal victory and a clear demonstration of the power of unrelenting dedication, persistence, and hard work. Not only that, he set the pace for the team’s impressive win over the Rams, 68-59. In the preseason rankings Pine-Richland was named as the top team in WPIAL 6A this season, so when the Foxes’ defeated them, it was a big accomplishment for the young team. Ryan also was the Foxes’ top scorer at their home opener against Woodland Hills High School on December 11. 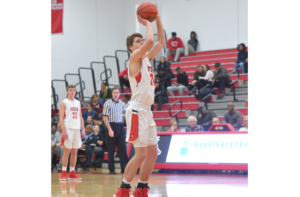 “What I like best about basketball is that every play you have a chance to do something to help the team win, whether it’s on offense or defense,” says Ryan, a team captain this year. If Ryan’s early performance is any indication of what’s to come from him and his teammates, the Foxes might well be this season’s Cinderella team.